One thing we’ve learned from running RZRs over the years is that they’re really good at throwing rocks, mud, and dirt into the air. It’s a lot of fun when you’re making huge rooster tails – less fun when they’re throwing debris directly at you and your passenger. After getting hit one too many times by rocks kicked up from the back tires and eating dirt from the front tires, we decided to solve the problem by designing bigger fender flares that do a better job of deflecting dirt, mud, rocks, sticks, sand, and all the other stuff on the trail that doesn’t agree with you and your passenger’s face. These fender flares give you 9” of protection on each side of the vehicle where stock only gives you 4”. 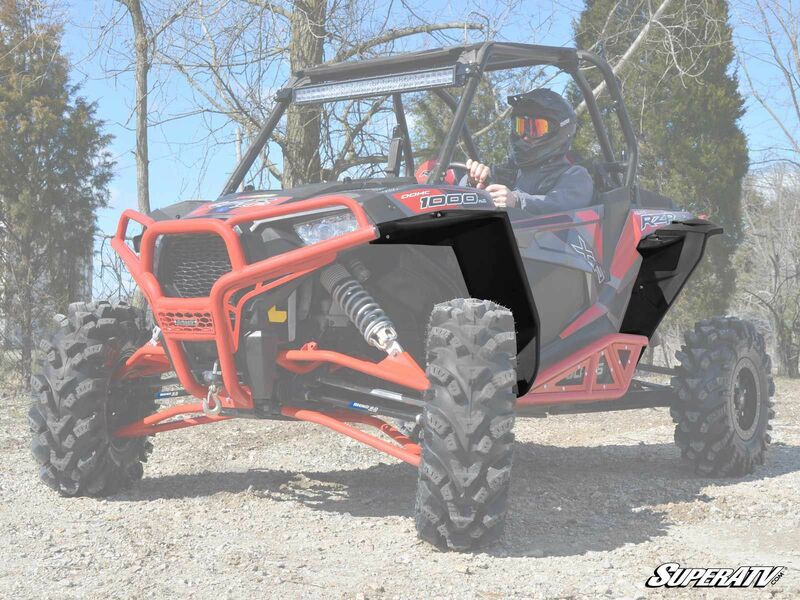 We’ve designed them so that they fit right over your stock fender flares making them extremely durable. 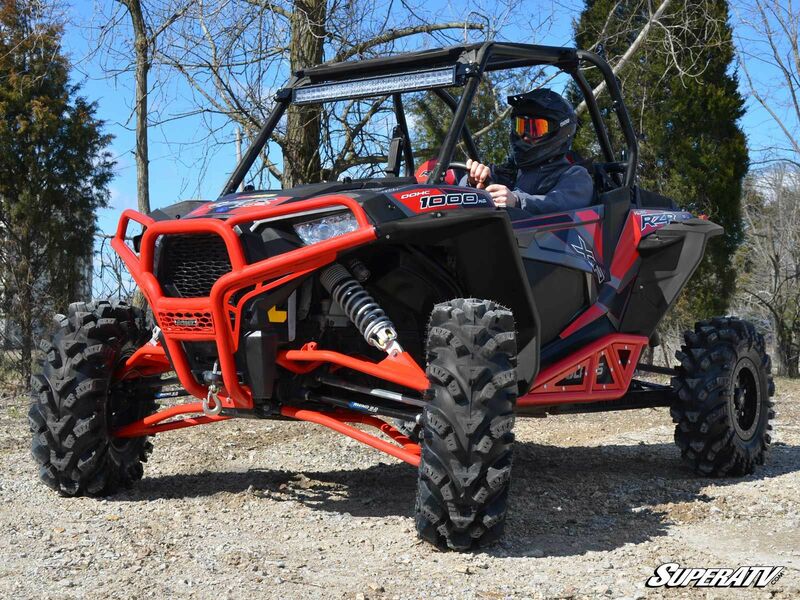 These aggressive looking fender flares match the style and curves of your RZR so they look like an OEM part. 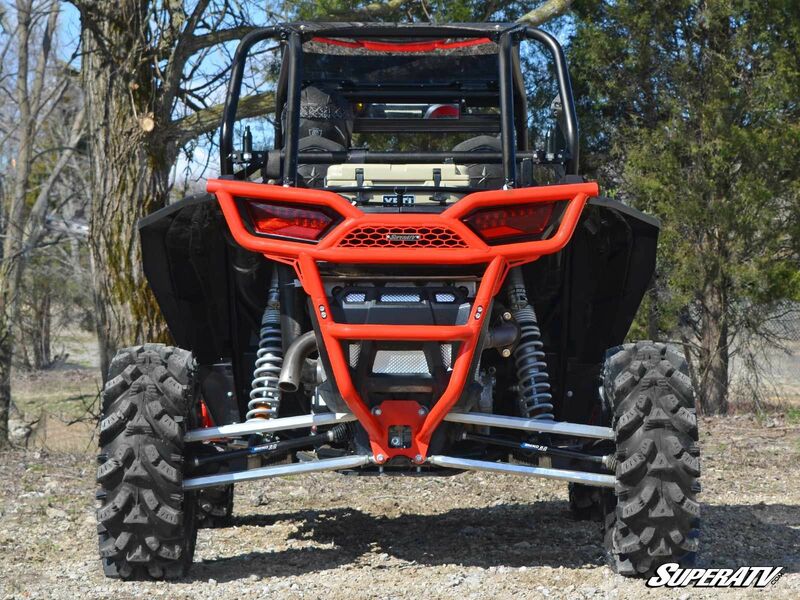 This kit includes all 4 fender flares, so if you’re tired of getting beat up by crap on the trail we’ve got you covered. 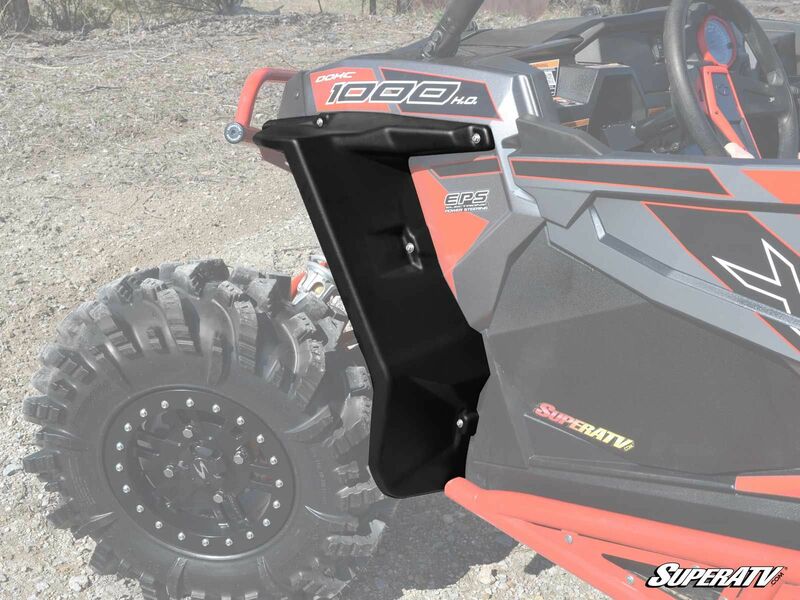 Keep your rooster tail and lose the bruise with a set of SuperATV fender flares.